The hundreds (thousands?) of people upgrading with no issue tend to not bother commenting. To chime in, I updated 7 active installations without issue. I found out reason of error 500. It is because after update CloudflareSupport plugin doesn't work anymore. The plugin even doesn't turn off in the dashboard. I turn off it manual via editing config.php and then I could make successful update. 2016/05/11 20:03:44 [error] 20467#0: *6463610 FastCGI sent in stderr: "PHP message: PHP Fatal error: Call to undefined function ip_in_range() in /home/ivan/www/mydomen.com/www/forum/plugins/CloudflareSupport/class.cloudflaresupport.plugin.php on line 74" while reading response header from upstream, client: 141.101.80.8, server: mydomen.com, request: "GET /forum/index.php?p=/utility/update HTTP/1.1", upstream: "fastcgi://unix:/var/run/php5-fpm.sock:", host: "mydomen.com"
Ok, and thanks for the reassurance @hgtonight . I gave it a go and no major problem that I can see other than my theme's custom.css got over-written so I lost a bit of the customisation I'd done, but I'd taken the additional step of backing that file up too so I just restored that and things are back to normal. As I'm still in the development stage with no live users I didn't bother backing my database up - I wanted to see what happened just uploading the new files. To speed the process up in future I'll remove a lot of those plugins I don't use from the new version before I upload it... I'm trying to keep the forum as clutter-free as possible as it's for serious collaboration so we have no need for badges or emoticons, etc. This suggests you didn't properly copy your customized files into a new theme with a different name. You should never directly modify files that appear in the Vanilla download. Sorry, I didn't know I had to do that - being a complete noob I just downloaded the software and installed it on my server then chose a theme. It makes a lot of sense now you mention it. Backup your database, .htaccess and conf/config.php file somewhere safe. If it fails, try it a second time by refreshing the page. More troubleshooting tips. You CANNOT downgrade later (nor is there any reason you ever should). It may result in users being locked out. You MUST update your locales. Problem upgrading? Start a new discussion for assistance. I recently started using Vanilla and I would like to know what is the best way to get an email notification when a new version has been released. It's very handy in cases like this one, when two security issues have been discovered and patched. 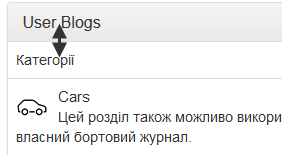 You can subscribe to the Blog, just select the version if it is open source or other. I updated with vanilla 2.2 to 2.2.1 and as if all went well, but! in this case there is no record $Category['Name']= T($Category['Name']); in the file aplications/vanilla/models/class.categorymodel.php ->>needed to correct manually. Why not make these things already in the new update? @kopna A 500 error indicates an issue with your server, for which you need to check your error logs to get more information. As indicated in my original post, start a new discussion for assistance troubleshooting. I have checked the blog but couldn't find any entry or post related to recent software updates or upgrades, so I'm still not sure whether it's the best way to keep up with most recent releases. I guess this is what you are looking for. Does Vanilla 2.2.1 support PHP 7? No. The 2.3 beta does. Hey all - so I've run into an issue... I've upgraded from 2.1 and now, I cannot access the Vanilla Dashboard, only the front end. I get a blank screen when trying to access the dashboard. Vanilla is on a subdomain and embedded in a WP page. Anyone know why this may be occurring, or have any tips on how to get back into the dashboard? If you need further help, please open a new discussion.